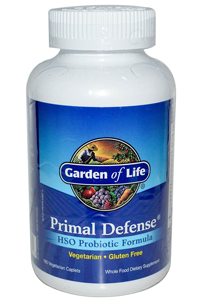 Garden of Life Primal Defence is a natural blend of 12 species of probiotics and Homeostatic Soil Organisms (HSOs). Adults take 1 caplet 3 times per day with 8 ounces of water or juice. Best taken on an empty stomach. 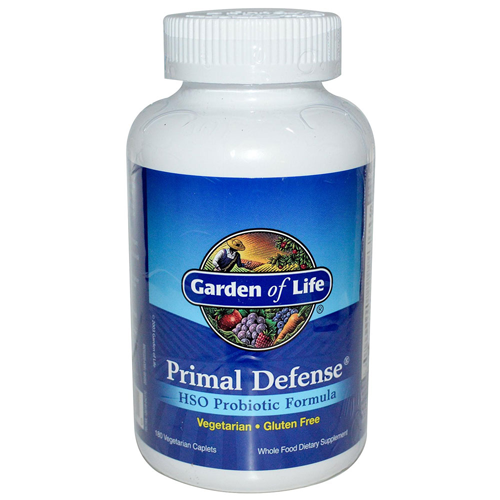 Begin with 1 caplet per day and gradually increase to suggested amount. Not intended for children. Calcium carbonate, sodium croscarmellose, silica, magnesium stearate (vegetable source), rice maltodextrin, vegetable coating, bacterial proteases, probiotic cultures. This product is made with natural ingredients.